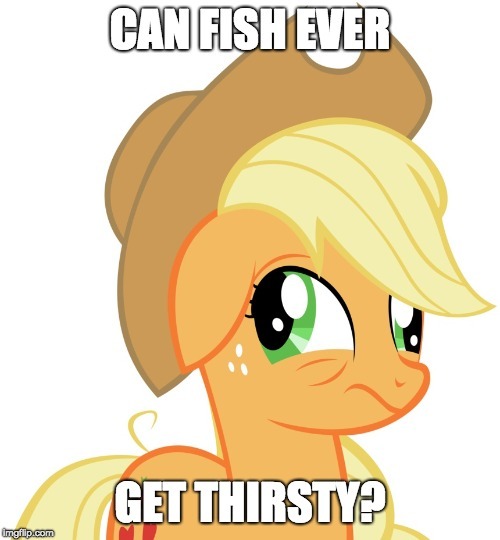 This is a question a drunk person might ask! 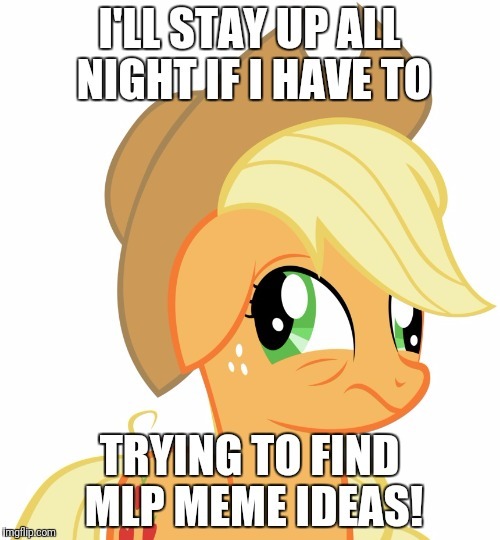 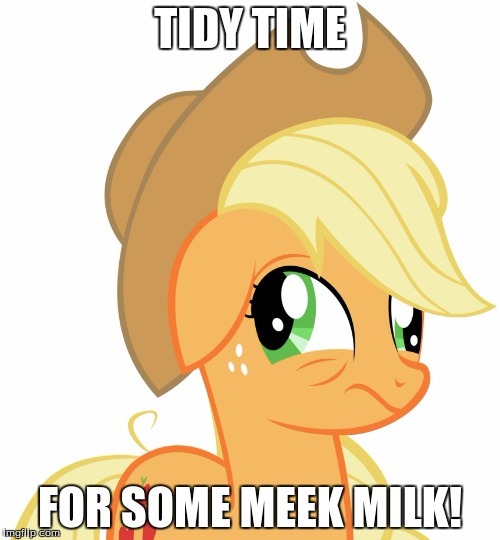 I need more meme ideas for My Little Pony memes week, a xanderbrony event! 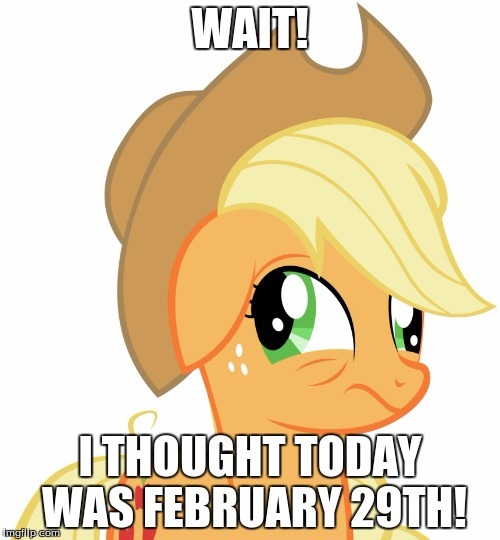 Last Day May 9! 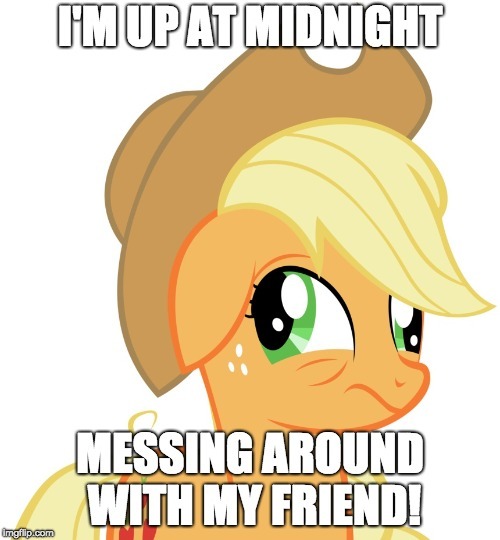 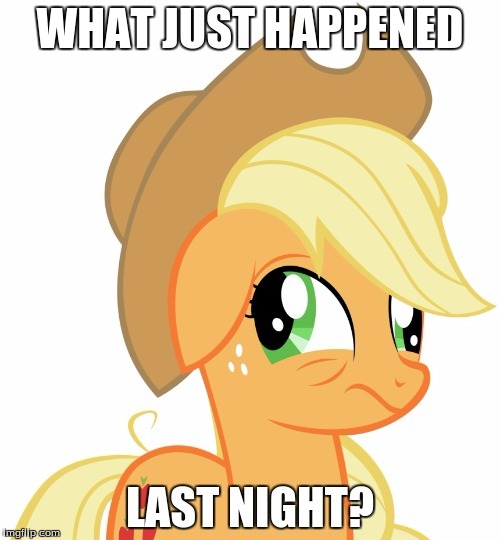 Come up with your own crazy story in the comments below, on what Applejack might have done last night! 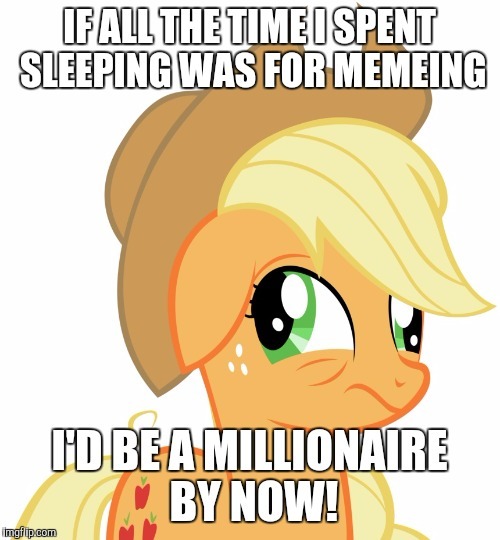 Would i be able to handle it though?